The 6015™ HO Linear Gas Fireplace presents you with superior heat performance, high quality construction and a stunning presentation of fire. The 6015™ is the largest unit in this three-part Linear Gas Fireplace Series, and is the perfect accompaniment to grand living spaces and custom homes. Like it's smaller counterparts, the 4415™ and 3615™, the 6015™ features a sleek 15 inch height and a long row of tall, dynamic flames over a bed of reflective crushed glass that is illuminated by bottom-lit Accent Lights. 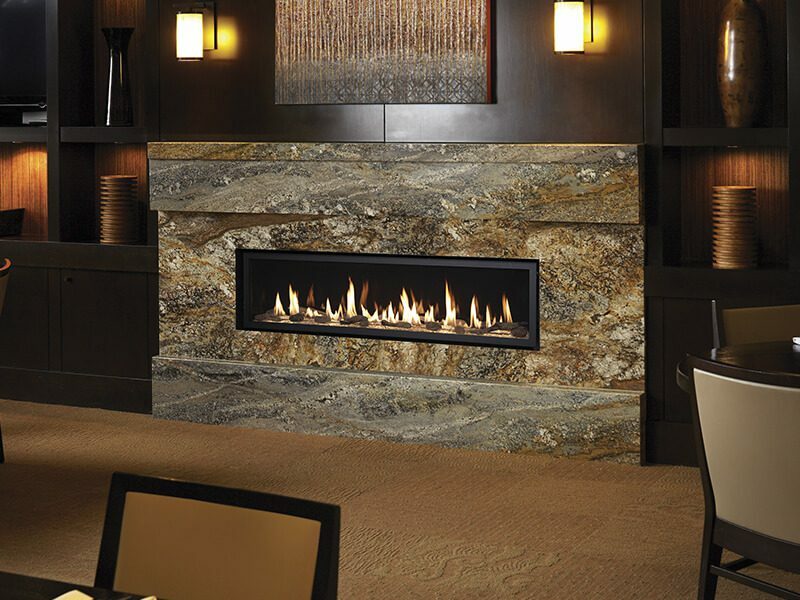 The 6015™ gas fireplace comes with the luxury of adding three different crushed glass options, the Driftwood and Stone Fyre-Art Kit, and multiple fireback selections to completely transition the look of this fireplace.